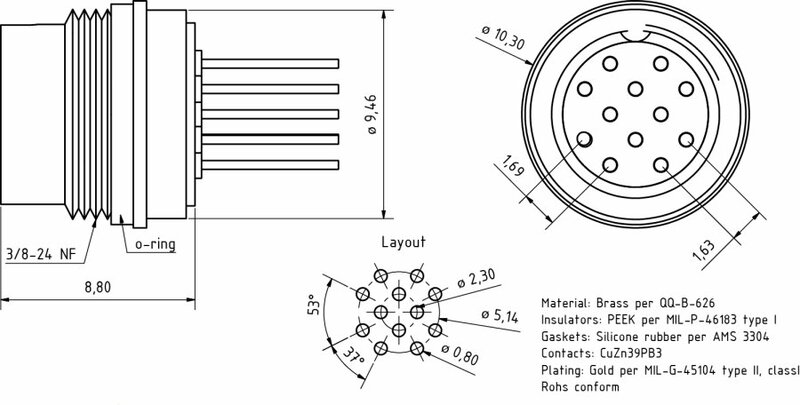 The advantages of outstanding EMC tightness and very small sizes are now expanded by filtered connectors. The requirements at EMC tight housings especially for the termination of wires and cables are growing. Frequenzies can be transferred by the cables into the housing. 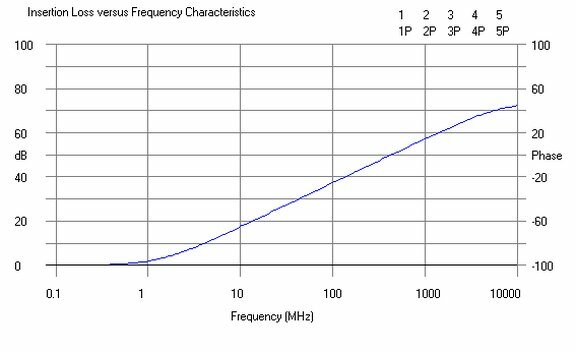 The EMC filter submit these frequenzies to ground. 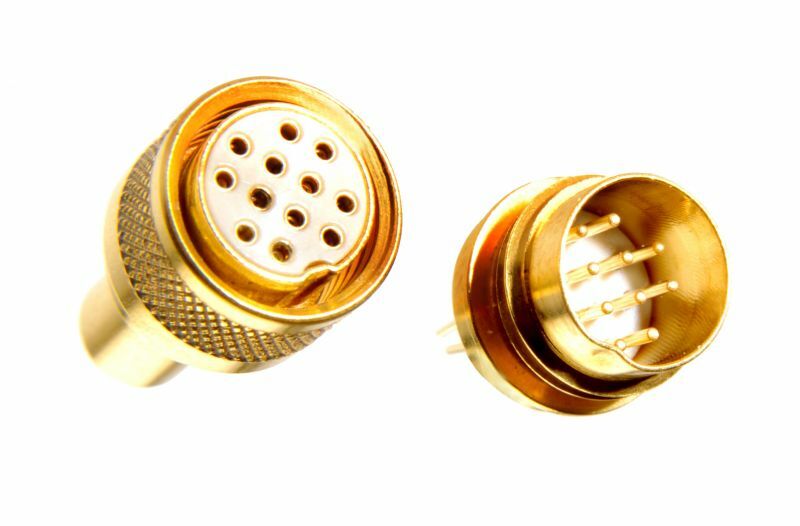 The connectors Series MicroCom are preferred for this applications. 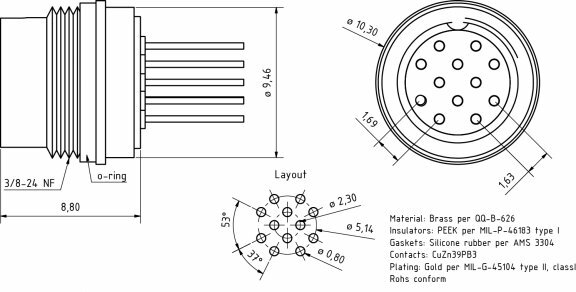 The cable plug has a reliable shielding due to crimp termination. The receptacle can be soldered or welded into the housing. As standard available 12-way for PCB mounting and box mounting. At a capacity of 4,7 nF we are reaching the following insertion loss. Modifications or custom solutions on request.